How many times have you looked up on pinterest ways to save money and found lists and lists of ideas (a lot of the ideas being the same) on ways to save money? I can't count how many times I've done this. From the beginning of our marriage, Trev and i have always been penny pinchers. Even before we had kids, and we both worked full time, only paid $600 in rent and didn't have any car payments, we still pinched every penny. We did this partially because we thought we were poor, but also because we knew we wanted to save money up for a house someday (still waiting on someday), a new car, some fun vacations together, kids etc. 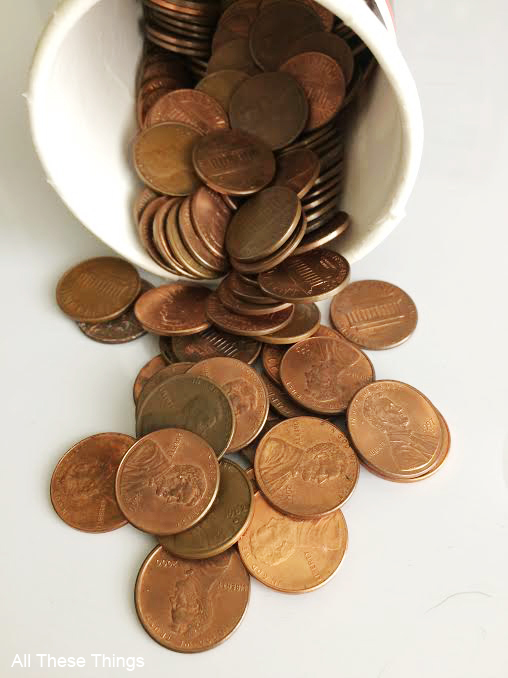 We've tried a million different ways to pinch pennies. Including extreme couponing which just wasn't our thing. Some things we still do. 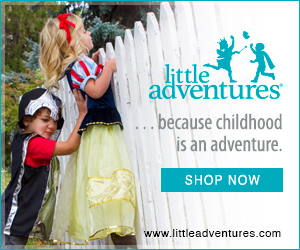 Like rewards program sites and making a dinner menu and a grocery list. We still grow some of our own food. We don't spend money on a lot of things we don't need. Bottom line is, we do what we can to save as much as we can. 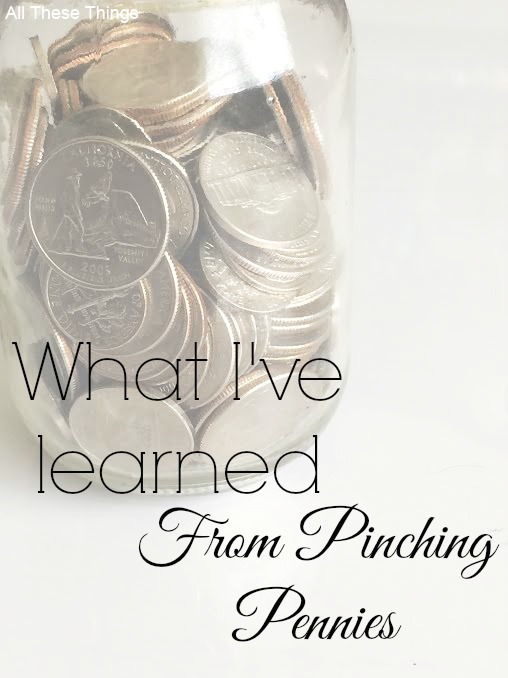 And today I wanted to share what I've learned from being a penny pincher. 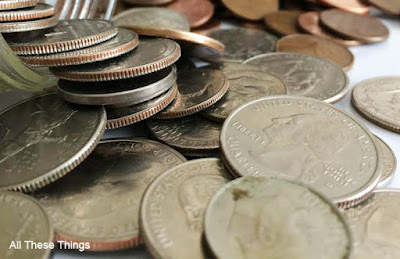 When you're pinching pennies, you look for all kinds of ways to make money. Like selling things online, using your hobbies, and like the rewards program sites, I mentioned earlier. When Trevon and I lived with my grandpa and I had just quit working to be a stay at home mom, I decided to take up Swagbucks. I ended up paying for all of our Christmas presents that year (and for several years after) with amazon cards that I earned from using Swagbucks. 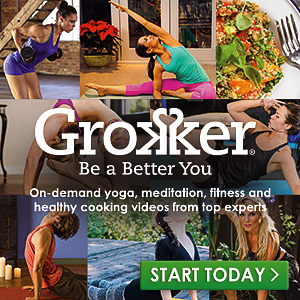 Now I also use Crowdtap, and the Wellcoin app to earn gift cards too. 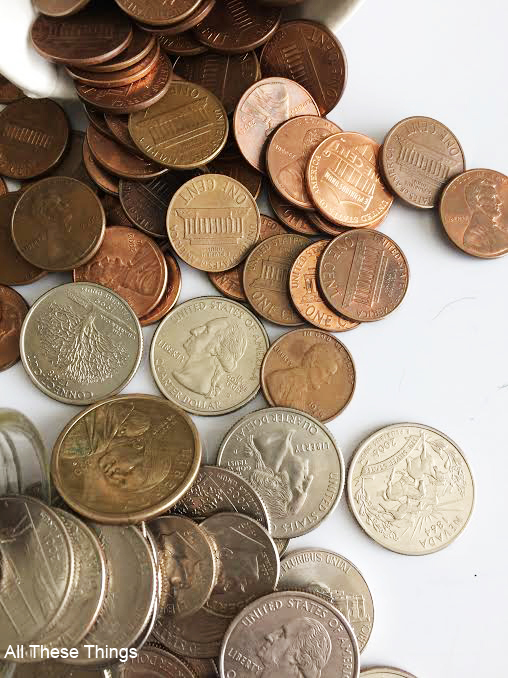 When you're pinching pennies, You literally look for every penny and dime you have. And you use or save every single one. 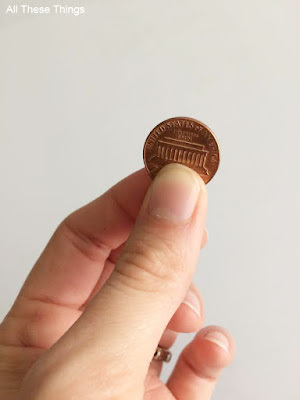 When ever I find a penny, I either use it at the store when I'm paying in cash so that it wont come out of our bank account, or I put it in our coin jar. When you're pinching pennies, you learn that you can make things last longer than most people. I'm not talking just clothes. I make my $5 mascara last as long as I possibly can. When I can't get anything else out of the tube, then I replace it. When the girl's break a crayon or two, we keep it. More pieces to share. J has picked this habit up already by using and reusing and using her coloring books again. (Not because we told her to, she just colors them in pencil, then crayon then marker). When you're pinching pennies you learn the grocery store so well that you know exactly what isle you need to go down and exactly where your item is. That way you don't have to worry about impulse buying and you get in and out in less than an hour. Along with that, when you're a penny pincher, you also learn that making a meal plan and a grocery list is mandatory to make impulse buying nonexistent. And when you can use a coupon, do it. Because every quarter counts. That leads me to only spending time on things that work or matter. Extreme couponing was a pretty big fail for us. It worked for a month or two, and then we got tired of looking through all the coupons, praying one of them would be something on our list. Once we realized this wasn't the best way for us, we saved that $15/month on three newspapers that we didn't even read and we put that towards the groceries that we did need. When you're a penny pincher, you almost only buy stuff that you need. But I learned that when you finally do buy something that was a want, something just for you, that little splurge, it makes your life a little happier every time you see that special thing. When you're pinching pennies, you even pinch your birthday pennies. I've gone from one birthday to the next with at least half of my birthday money left over before. I kept it separate from the rest of our money, and even out of my wallet to make sure it would be used for me and not my kids. Turns out when you don't have money in your wallet, you forget it's there and find it a year later in your birthday money hiding spot. Not only do you save money as a penny pincher, but you save food too. Left overs make really great lunches. You also save things like containers, because even though it says "Western Family" on it, doesn't mean it wouldn't be a good to keep the leftovers in. Yes, there's so many things you learn as a penny pincher. Including being grateful for everything you do have and getting rid of the things that you're not all that you don't care so much about. What are the most unique ways you've saved a dime? I coupon too - I wouldn't say I'm extreme, but I definitely do follow a couponing blog and hit up CVS every other week or so. I'll never pay for toothpaste, shampoo, or deodorant again. It was a waste of money to buy a paper just for the coupons, though - if you have relatives, local libraries/hotels that will give you theirs, or if you just have a nice recycling bin in your apartment complex where you can go dumpster diving then it's worth it. I've never thought of hotels or libraries. Thanks for those ideas! I didn't pay for toilet paper until last year (after 5 years of marriage) so I call that success.